The Independent National Electoral Commission (INEC) has said it has identified 299 flashpoints among polling units in Ekiti State. 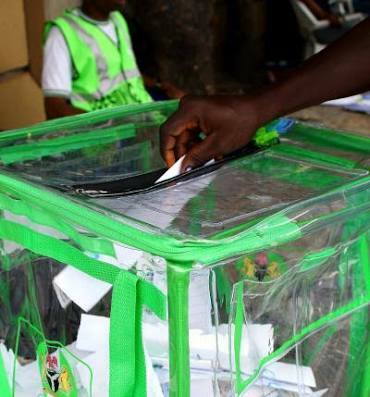 The Resident Electoral Commissioner in the state, Abdulganiyu Raji, made this known on Tuesday at the Nigeria civil society situation room dialogue in Abuja, ahead of the July 14 gubernatorial election in the state. At the programme, Raji said the commission was ready for the election and was working with security agencies and other stakeholders to address challenges before the poll. The Cable, an online news media, quoted him as saying, “We have identified 299 flashpoints polling units within the state and we are preparing for them; but before the election, some of the threat areas would have been addressed. “We have submitted the necessary information to the commissioner of police in the state and our national commissioner has forwarded the information to the deputy inspector-general of police for necessary action. He called on the civil society organisations to join INEC in appealing to political parties and their members to stop hate speeches as well as rumour mongering.